Solon-Biet et al. 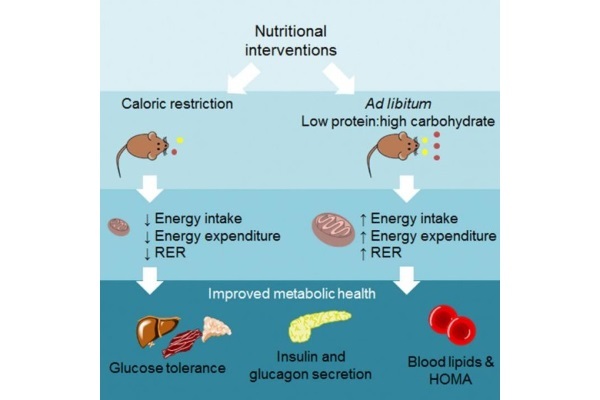 find that short-term ad libitum lowprotein, high-carbohydrate diets improve levels of insulin, glucose, lipids, and HOMA. LPHC diets under ad-libitumfed conditions generate the metabolic benefits of caloric restriction without a 40 percent reduction in total caloric intake.